Diesel-powered Class A motorhomes are the top of the line RVs on the market. Built with the highest-quality parts and outfitted with luxurious appointments, these coaches let you travel the country in style and comfort. 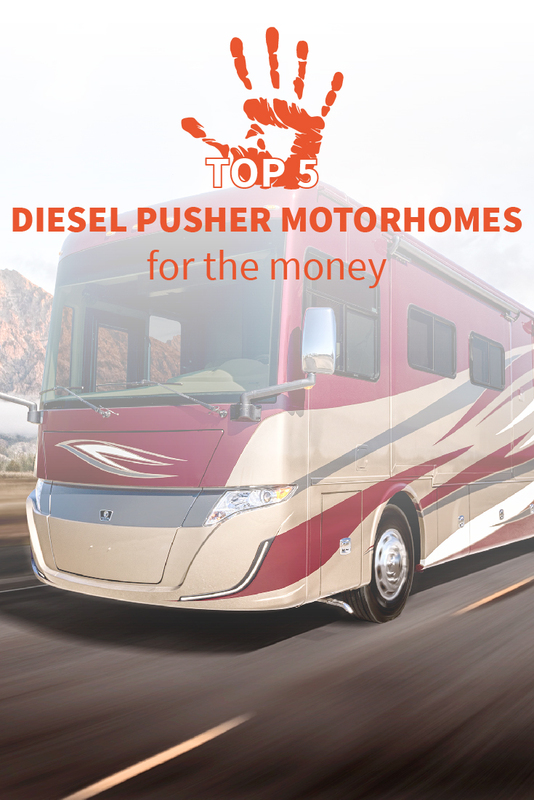 If you are shopping for a diesel pusher, we have selected our five top rated diesel motorhomes from the industry’s top manufacturer. For more options, browse our Class A Motorhomes today! 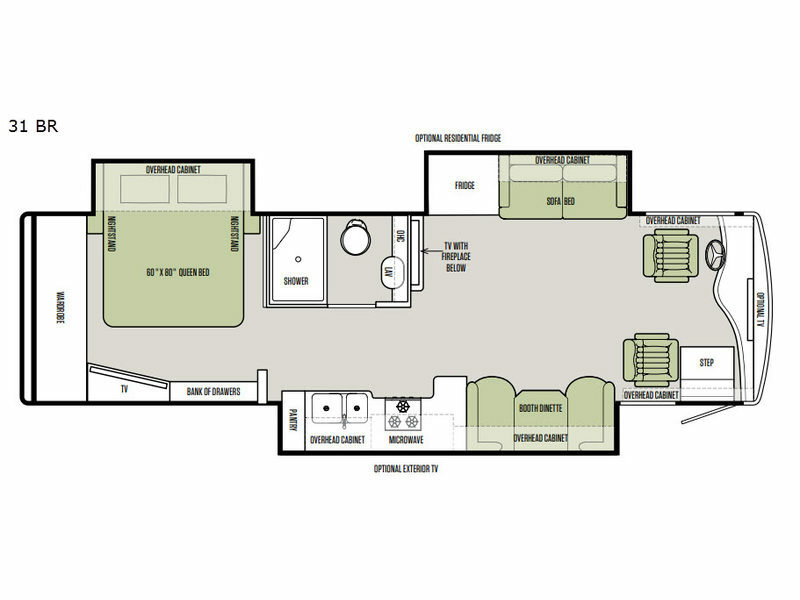 The Allegro Breeze is Tiffin’s most compact motorhome, offering luxury RVing in a smooth, easy-to-control package. It is packed with Tiffin’s innovative features and sophisticated appointments, including their custom-built PowerGlide chassis, porcelain tile floor, handcrafted cabinets and more. The 31 BR model features three slides: one for the queen bed and two to open up the living area. The kitchen offers a residential fridge, three-burner stove and an option between a booth dinette or free standing chairs. The living area also includes a TV and fireplace for cozy nights at the campground. 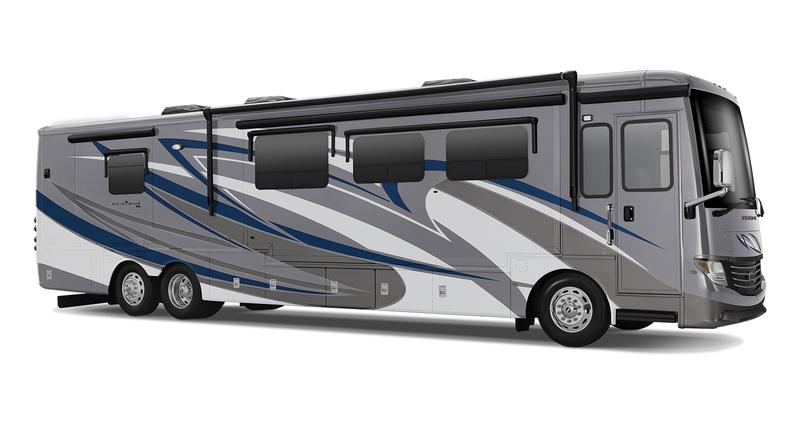 The Winnebago Forza is a family-friendly diesel pusher built for memorable trips and vacations across the country. 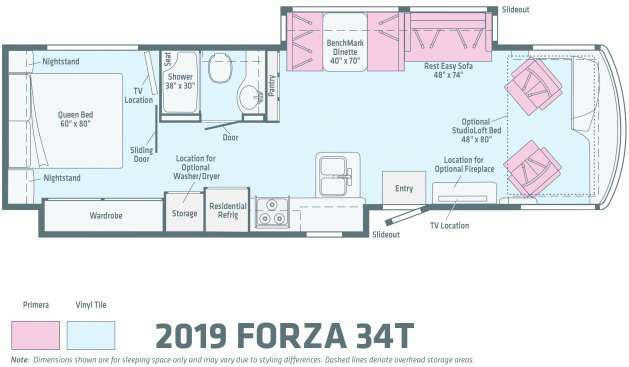 With its plush furniture, high-end entertainment systems and full body exterior paint, Forza owners will be the envy of the campground wherever they go. The 34T model features a kitchen and bedroom slide-out, along with a living area slide-out for a roomy interior. Owners can choose from a large, wrap-around inLounge sectional sofa or a dinette and a convertible sofa. The rear bedroom with a queen bed includes a sliding door for more privacy at night. 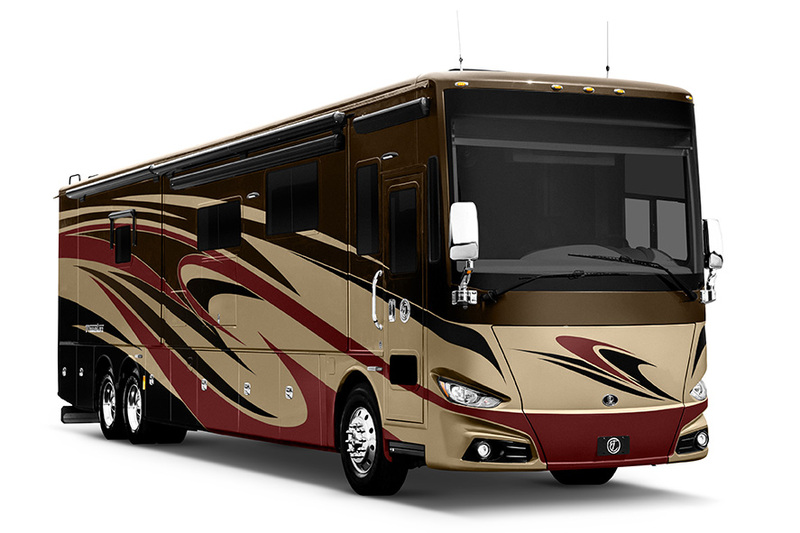 The Tiffin Phaeton is an opulent diesel motorhome designed for RVers who love to travel in style. It is packed with upscale features, and the elegant refinements throughout the coach will make you feel like you are camping in a 5-star hotel. 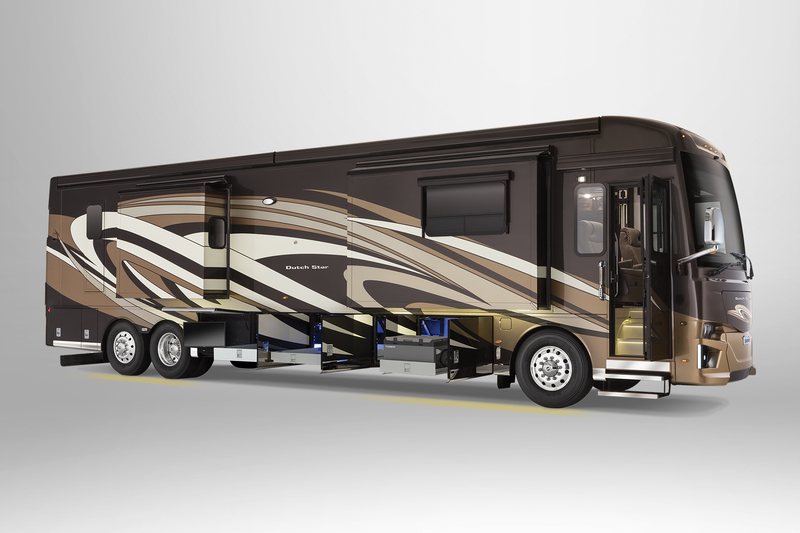 The 37BH model features three spacious slide-outs with several furniture options for the living room. The master suite has a queen bed and a private full bathroom, in addition to the half bath in the front section. 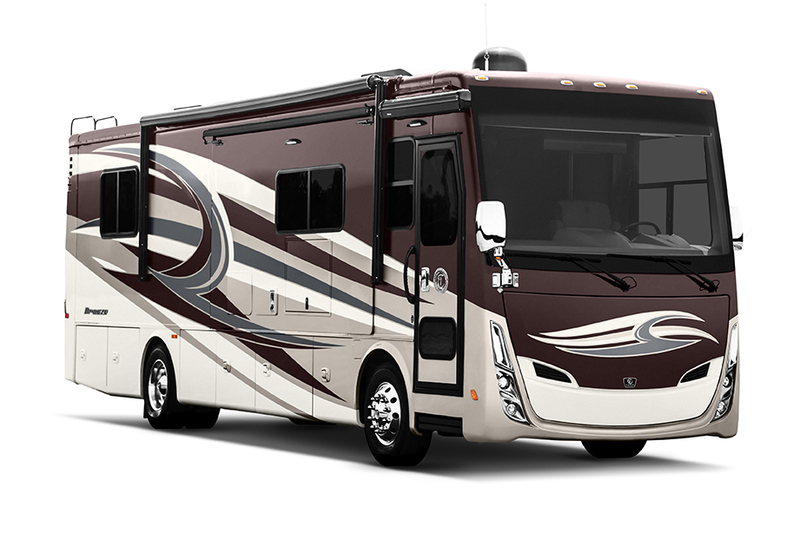 The Newmar Ventana is an elegant, fully-loaded home-on-wheels. Newmar has been an RV innovator since 1968, and their dedication to producing state-of-the-art coaches continues in the Ventana. You’ll love the modern appliances, high-end electronics and handsome interior design. The 4396 model capitalizes on every inch of its 43’10” length. The living area features two opposing sofas, as well as a Hide-A-Leaf dinette which slides away to create more space when you are not eating. The master suite includes a king bed along with a large rear bathroom complete with his-and-hers sinks and a 50”x54” shower. The Newmar Dutch Star is one of the company’s most iconic coach lines, and it is continuously updated to meet the highest standards of the day. 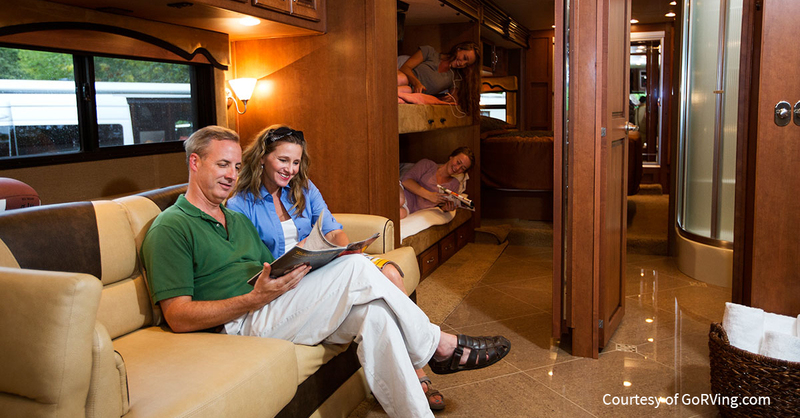 With three deluxe interior design options, you can find the perfect look for your RV adventures. 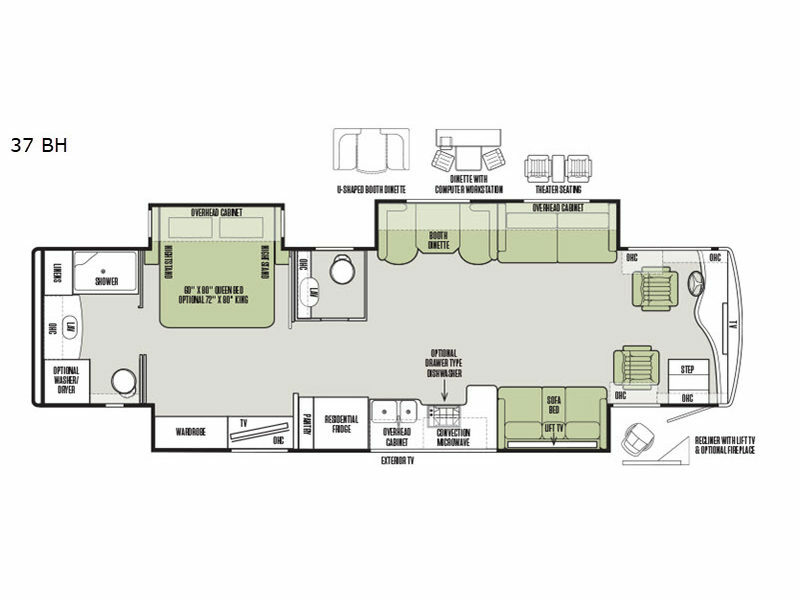 The 4369 model features three slide-outs with two sofas, a Hide-A-Leaf dinette and a well-equipped kitchen. It also includes a bath-and-a-half with a full twin-vanity bathroom in the master suite for extra privacy. Before you head out on your next trip, make sure to download our free Motorhome Maintenance Checklist!